1.This product is suitable for repair and reinforcement of all automotive plastic parts. Such as bumper, dashboard, lamp holder, plastic ring, radiator, car and motorcycle plastic device. 2.This series of products is only suitable for repair plastic. 3.Solderable RSI 6, RSI 8, RS26, RS28, RS38 supplies. 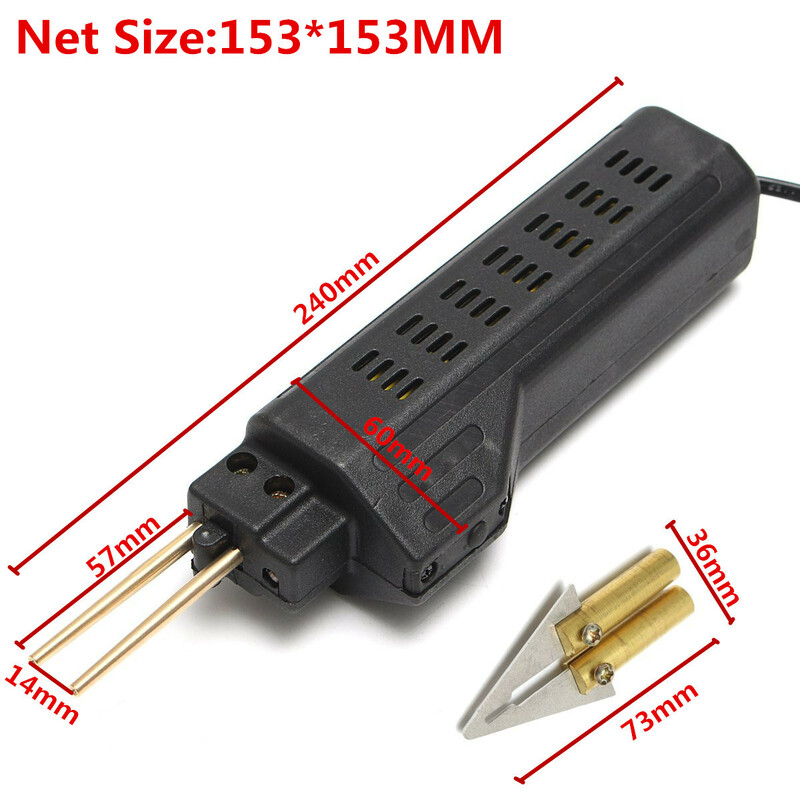 1.Connect HOT STAPLER to 220-250V power supply. 2.The local welding temperature for the stepless adjustment, can be suitable for any thickness of the plastic material welding. 3.Select the appropriate type of welding nail, insert the ideal electrode mouth. 4.Weld the inner surface of the damaged part of the weld. 5.Press the start button, energize the melted plastic to weld correctly. 6.When melting the nails to the right position, release the button and wait a few seconds to cool the plastic. 7.Repeat this work step until the nails are evenly distributed and then cut the protruding parts with an oblique pliers.